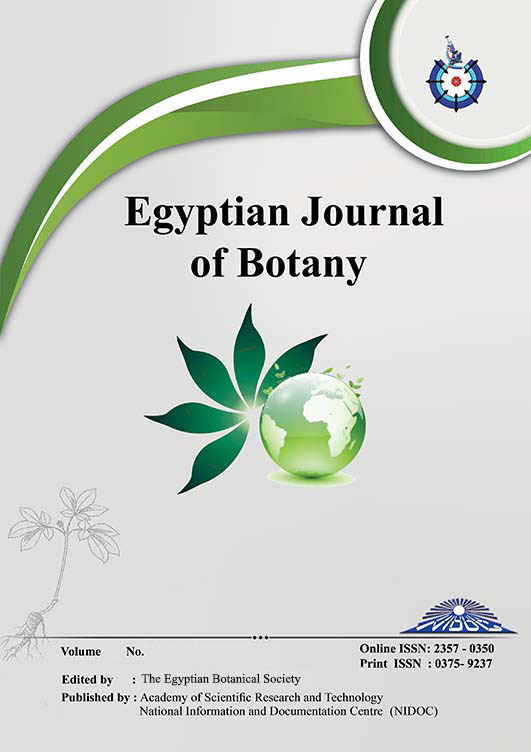 IN THIS STUDY, three plant oils (fenugreek, ginseng and marjoram) and the bio-insecticide abamectin were used as agricultural insecticides. Effects of these materials on cowpea weevil (Callosobruchus maculatus) and on Vicia faba plant cells were examined. Results showed that the mortality percentage of C. maculatus adult increased with the increase of dose treatments (ml/kg) and by increasing the time of exposure. The residual activity of the tested materials on cowpea seeds at storage periods (3 months) showed that 2LC95 of tested oils have a reduction effect on Callosobruchus maculatus progeny (F1 ); which decreased gradually till the 6th week while, LC95 of abamectin decrease the number of F1 to zero (100% reduction) in all times of treatment until storage periods. The percentage of C. maculatus emergence in cowpea seed treated with the tested mixtures (oils- abamectin) showed that mixture 2 is the most effective which recorded 100% at the initial time up to 12th week. On the other hand, the cytotoxic effects using root tips of Vicia faba assay showed reduction in MI in all treatments applied which increased with the increase of the concentration. It recorded 2.42, 2.01, 1.64 and 0.91% in roots treated with the highest concentration of fenugreek, ginseng, marjoram and abamectin respectively, as compared with negative control (4.18%) or with the positive control (1.83%). All the mixtures (oils- abamectin) applied recorded significant decrease in MI values. Different types of chromosome abnormalities were recorded such as stickiness, disturbance in metaphase and anaphase, C-metaphase, chromosome bridges, lagging chromosome and micronuclei at interphase.